Which is the top vendor for HIPAA-compliant secure messaging? It depends. Established players and up and coming companies have recently been assessed by KLAS. The independent research company has rated the current options available to healthcare providers looking to improve communication between care teams without falling afoul of HIPAA Regulations. The cost of healthcare provisioning is rising, placing increasing pressure on healthcare providers to reduce operational costs, improve efficiency, and increase the productivity of healthcare employees. Currently many physicians, nurses and other healthcare professionals are forced to use slow and inefficient communications systems, resulting in many hours of wasted time each week per employee. The use of SMS text messages would solve many of these problems. The communication channel is fast, convenient, and practical, but SMS messages are unsecure. This poses a problem for healthcare providers and other HIPAA-liable entities. HIPAA Rules prohibit the transmission of Protected Health Information (PHI) via SMS as the messages can all too easily be intercepted. However, secure healthcare messaging platforms offer providers an ideal HIPAA-compliant solution. Secure messages have been shown to increase efficiency and productivity, while helping drive down operational costs. They are also loved by many healthcare professionals for their ease of use, as well as the speed at which information can be sent and received. There are numerous players in the market and plenty of choices for healthcare executives, but not all secure messaging services are flexible, easy to implement, and offer the required functionality. Choosing the most cost effective solution can therefore be a difficult task, compounded by the fact that there are now over 100 vendors offering secure SMS services for the healthcare industry. This first-in-the-category report released by KLAS provides healthcare executives with insights into the best services on the market. The report can be used to determine which company’s solution offers the right mix of benefits, and which represents the best and most cost-effective choice. The timing of the report could not be better with the OCR HIPAA-compliance audits just around the corner. Healthcare providers and other HIPAA-covered entities are now implementing new controls to ensure that the Protected Health Information of patients is better protected. 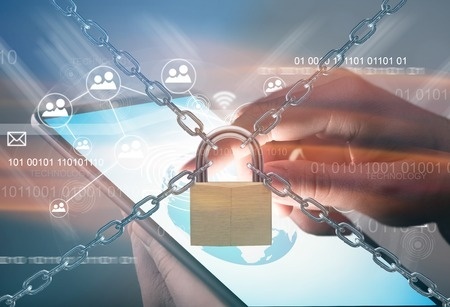 Implementing a secure text messaging platform is an ideal way of ensuring communication is improved without risking violations with HIPAA Rules. New communication systems are not all about HIPAA-compliance of course. Medical test results can be communicated more rapidly, healthcare data can be disseminated efficiently, and the productivity of the workforce improved. A more efficient and productive workforce also provides many benefits for patients, and can help improve outcomes. Key vendors have been assessed in KLAS’ report entitled Secure Messaging 2015: First Look at Who Providers Are Considering and Why. TigerText remains the leader in market share and mindshare with its HIPAA-compliant solution, incorporating numerous security controls to ensure PHI and PII can be transmitted by SMS with confidence. According to the report, “The high speed-to-value proposition offered by TigerText has allowed them to secure the largest market share of any secure messaging vendor.” The simplicity of use of the platform has been a driving force in adoption according to KLAS. The product is twice as likely to be considered by healthcare executives than the next largest competitor. The secure text messaging market is highly competitive with numerous vendors having recently started offering secure, encrypted message services. Other vendors have also been assessed, including Imprivata, Spok, Voalte, and Doc Halo. A considerable amount of feedback has been obtained from healthcare professionals on the best, and most user friendly products. KLAS conducts approximately 1,900 interviews with healthcare providers every month and gathers their feedback on products and services. Over 4,500 hospitals and 3,000 doctor’s offices and healthcare clinics are involved in the production of the company’s reports. The work conducted by KLAS is highly regarded and the organization’s research and Best in KLAS reports are an invaluable aid which help healthcare providers choose the most useful and innovative technology to implement. The latest report, “Secure Messaging 2015: First Look at Who Providers Are Considering and Why” is now available to KLAS subscribers. KLAS is an independent research organization that provides accurate, honest and impartial reviews of technology for the healthcare industry and is widely recognized as being one of the most important and influential organizations serving the healthcare industry. Its researchers have measured the performance of healthcare technology providers, and its analysts have rated more than 250 technology providers for their healthcare-friendly products. In contrast to many companies that also produce annual awards, vendors do not pay to have their products rated. Technology companies can apply for membership, but membership is not a requirement to have products and services assessed. When healthcare professionals require information about specific products and services, KLAS obliges. Companies are assessed on the efficiency, suitability, functionality, performance, and potential of their products. KLAS gathers information from actual users, who give their honest opinions on how the products perform. Researchers provide their own insights into products and services and reports are produced to help healthcare providers make the right decisions about the best technology to introduce. KLAS also meets with vendors to discuss the reports and help amplify their voices. These meetings are vital as they allow vendors to receive genuine feedback about their products and services. Not only do the KLAS ratings serve the needs of healthcare professionals, they also allow vendors to receive invaluable information that helps them improve future products and services. Around 40 KLAS performance reports are produced every year. Each June the company produces an annual report which rates and ranks technology and service providers for the products recently brought to market. Providers of medical equipment, healthcare services, and software are assessed with the Best in KLAS reports helping busy healthcare providers make the right technology decisions, and choose the products and services to match their organization’s unique needs and requirements.The company celebrates vendors that have gone the extra mile to develop practical, user-friendly products and services that can greatly benefits healthcare organizations, and the busy professionals who work for them. Many organizations will opt for the vendor that comes top of the Best in KLAS for Medical Messaging list, but position does not necessarily mean the vendor will be ideal for a healthcare provider. Each company included in the report has been rated on a wide range of criteria, and while each product has merits, healthcare providers should consider all aspects of the product including reliability, functionality, support, ease of installation, as well as the cost. A top position does not guarantee a great user experience. Vendors lower down the list may provide a more cost-effective solution and better results for certain healthcare providers. Healthcare executives should use the report as a guide to assist them with their own product research. The upcoming report on the Best in KLAS Awards for Software and Professional Services is due to be published next month, and will be available for healthcare executives to download in January 2016.